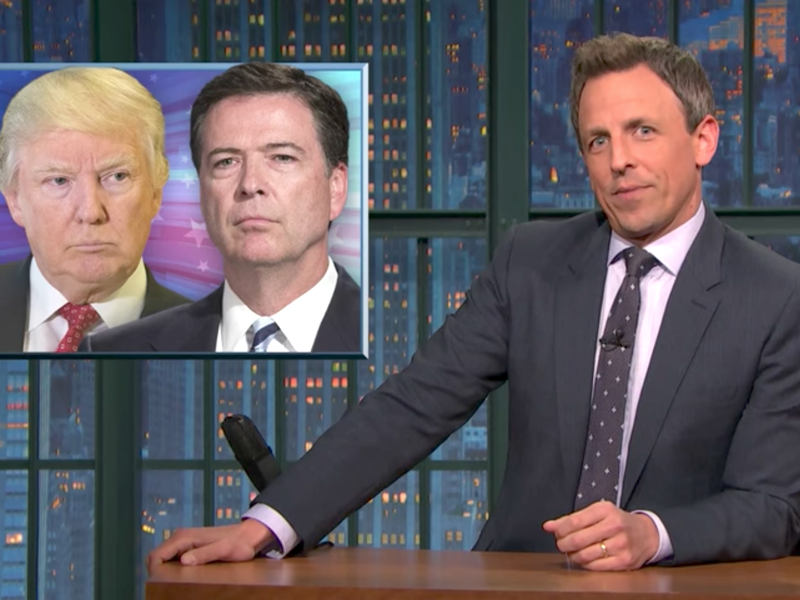 Seth Meyers found the shifting stories from President Donald Trump and his team surrounding the sudden firing of former FBI Director James Comey disturbing. Since Comey’s dismissal earlier this week, White House spokespeople have been scrambling to explain the chain of events and backing up Trump’s explanation that he made the decision based on the recommendations of both Attorney General Jeff Sessions and Deputy Attorney General Rod Rosenstein. That is until Rosenstein reportedly threatened to quit over being cast as one of the central players in Comey’s firing.